Addressing the needs of Alberta's victims of crime, trauma and tragedy, Industrial NetMedia brings unmatched authority in the development and design of Victim Service Unit websites to the table. The company has unique expertise in the field of VSU community and client engagement, having designed no less than a dozen Victim Service sites, as well as having team members on staff with VSU board experience. 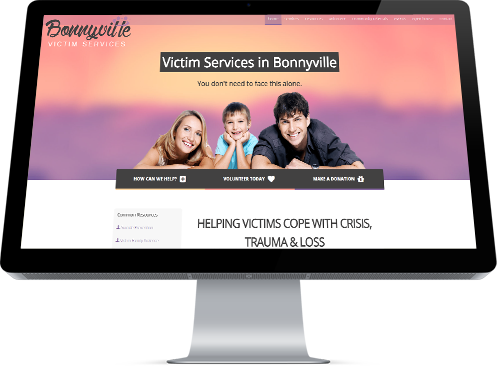 Like the other VSU sites developed by INM, Bonnyville's Victim Services website is a one-stop source of information regarding the group's program offerings, the roles of the Volunteer Advocates and referral information to help their clients deal with catastrophe in their service region.